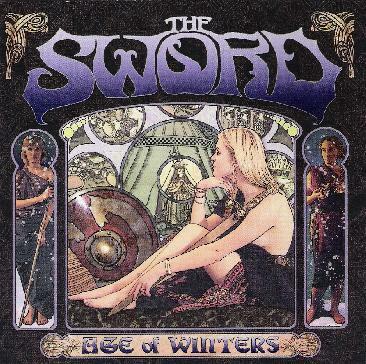 The Sword - "Age of Winters"
The Sword are a very new band (from Austin, Texas) on the heavy metal scene and you will hear more about these guys as this is great stuff. A little of the old school 80's Doom (Solitude Aeternus, Candlemass), some Judas Priest (heavy riffing) and that 70's sound (Black Sabbath, Pentagram). It is a good combination, trust me. All I miss are some ripping guitar solos and this would get 6 out of 5! I think this is an amazing CD. I can't stop listening to it. If you dig that Sabbath sound with really well written songs and a nicely produced sound, don't miss this. This is true Heavy Metal, except the near complete lack of guitar solos (there are a few). One of the best CDs of 2006 so far! Hear songs at The Sword's Myspace.com site at: http://www.myspace.com/thesword.